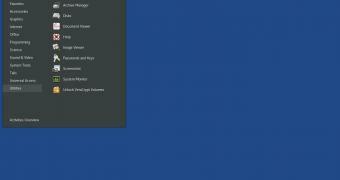 Tails, the amnesic incognito live system based on the Debian GNU/Linux operating system, has been updated to version 3.13, a release that adds extra security and latest updates. Powered by the Linux 4.19.28 kernel, the Tails 3.13 operating system is now available with latest Tor technologies to help you stay hidden while surfing the Internet, including the Tor Browser 8.0.7 anonymous web browser and Tor 0.3.5.8 client and server for the anonymous Tor network. However, probably the most important addition in the Tails 3.13 release is the updated Intel microcode to version 3.20180807a.2, which adds an extra security measure against more variants of the well-known Spectre, Meltdown, and L1TF (Level 1 Terminal Fault) security vulnerabilities.